satisfied clients in a variety of different niches. Our solutions are custom for each industry's goals, whether it be lead generation, content marketing, branding, or online sales, we have worked successful campaigns in all! Search based Advertising is a great tool for lead gen and product sales, but most don’t understand the complexity of search advertising and have throw away HUGE amounts of money trying to manage themselves. Why work with us on your Search Advertising? …many more reasons behind this, not to mention save you time! Search Engine Optimization (SEO) is an increasingly tough marketing initiative to get results, but we have clients getting as much as 80% of their sales from the SEO work that we do. It is almost impossible for the layperson to keep up with Google's algorithm changes and we are here to help. Ask for client references and we are happy to comply. Many say they are experts in this area, but the proof is in the pudding and our clients will always say it best! Local Blitz partners with TOP web design agencies based in San Diego. We help the process move along with a marketing eye to support the design eye of our trusted partners. These skillsets complement one another well and our clients like having trusted partners that communicate to move them toward their marketing and web design goals. E-mail marketing is an often overlooked area for many Internet Marketing Agencies. While many clients are hesitant to get started, they quickly realize that the ROi in E-mail marketing is un matched. We put together custom programs to help clients implement CRM and Email marketing platforms that make sense for what they are trying to accomplish with E-mail! Social Media Advertising is an ever changing game. Think of how many changes you have seen when using Facebook over the years. Multiply that by many times on the advertising side of things and you can imagine how hard it is to keep up. We spend hours training on different platforms to keep up with the latest industry trends and in turn to get our clients results while keeping them ahead of their competitors. Want to get your message across in a succinct and powerful way? Our team will help you write effective copy and put together solid content marketing strategies to help move you toward your social media goals. Many platforms have restricted organic reach in past years, so an SMM program will work best in tandem with a Social Media Advertising strategy. We help build the roadmap to success and implement successful campaigns for our clients. 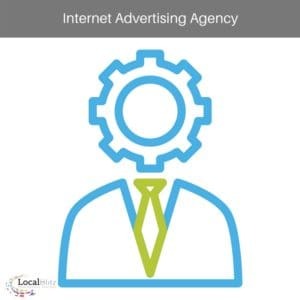 Need Help from an Intenet Marketing Agency?